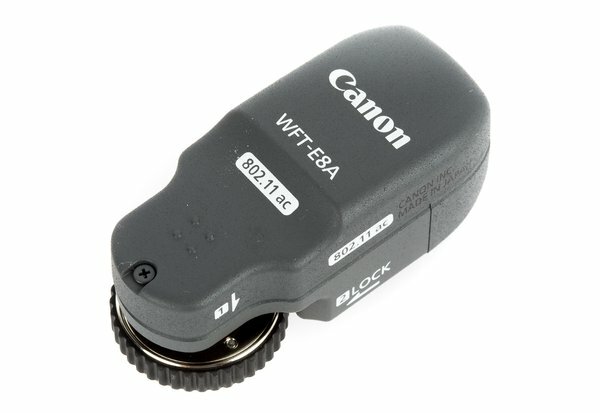 The Canon WFT-E8A Wireless Transmitter is designed for use with the Canon 1D X Mark II. Wireless LAN. Utilizing IEEE 802.11a/b/g/n/ac standards over both 2.4GHz and 5GHz signals, the WFT-E8A provides fast yet secure image transfer performance. Image Transfer Options. Images can be transferred via FTPtransfer, EOS Utility, WFT Server, or Canon Camera Connect app, the last of which also enable remote camera control. Multi-Camera Linking. If you need to sync multiple 1DX Mark II cameras, you’ll definitely want to consider the WFT-E8A. The WFT transmitters offer wireless time syncing, giving you automatic chronological sequence of images shot across multiple cameras. If you’ve ever shot an event with multiple cameras where importing is off, you’ll know exactly how great this is. Compatible only with the Canon 1DX Mark II!